The second annual Coast Kustom Kulture show just came, and went, and if you weren't there,...then check out some of the pics to see what you missed. Von Franco, and Dave Monnig hosted a killer event. 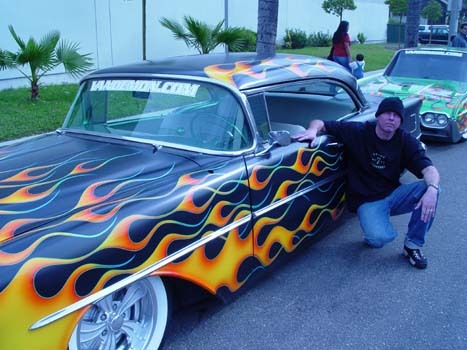 With everything from pinstriping, to airbrushing, Ol' School, and new school: It doesn't matter what aspect of the kustom kulture you are involved in, there was something for you! See ya' next year. 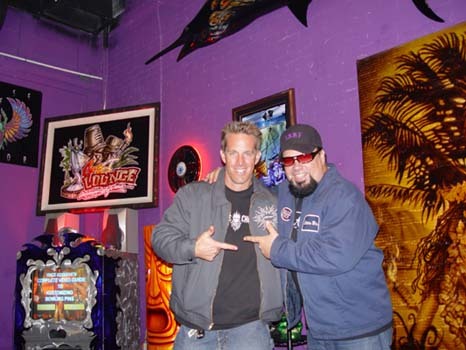 Dave Monnig and Von Franco this years host of the Coast Kustom Kulture show. Every Kalifornia Kustom show needs its token surfer, and beatnik! Dion Giuliano, and Nino Brown,..hanging out at the Kal Koncepts/Air Syndicate booth. 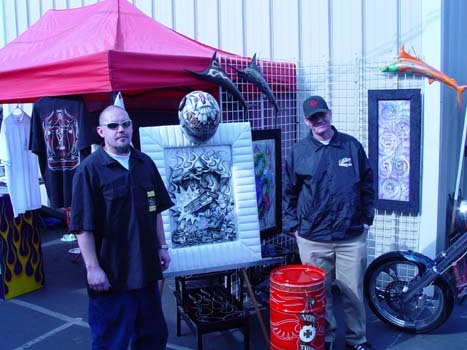 You can fit alot more Kustom artwork, then cars in a booth. Steve Vandemon posin' with one of the kustoms he brought to the show. Steve definitely won the "most cars" award,...but his shop is also only a few miles away! 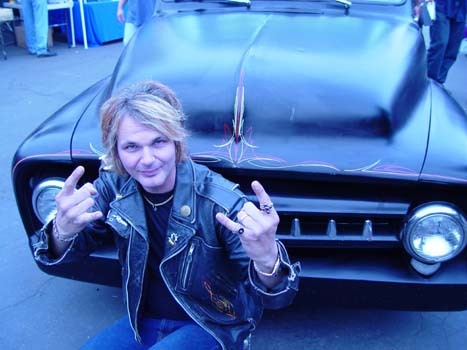 When not playin drums for "Poison" Rikki Rocket can be found pullin' a pinstripe brush. Check out some of his artwork next time you go to Coast. 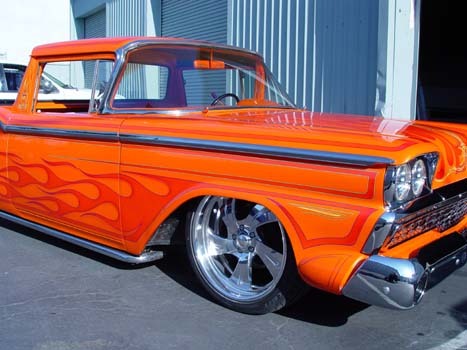 Even Dave Monnig got in the display action with his cherry 1959 Ranchero. Kustom Painted by Kal Koncepts/Air Syndicate.